Bart De Wever is ready to become minister-president of Flanders following the elections in May. The mayor of Antwerp called a surprise press conference today to announce N-VA’s ambitions for the regional and federal elections, which take place, together with the European elections, on 26 May. 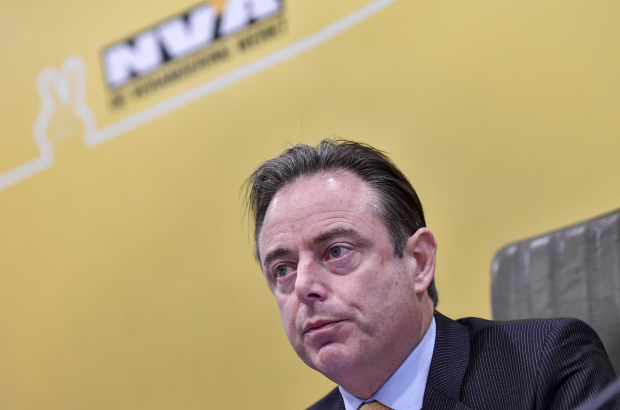 Should N-VA dominate the elections as it did in 2012, party president De Wever (pictured) sees himself taking over the role of minister-president from his party colleague Geert Bourgeois. For his part, Bourgeois would represent Belgium at the European level. And Jan Jambon, federal security and interior minister before N-VA quit the federal government coalition last month, has his sights set on the office of prime minister. The three men will lead the party’s regional, European and federal lists, respectively, in their provinces. N-VA, he continued would “defend the Flemish stronghold” should PS indeed gain ground in May. “Our answer to PS is confederalism.” This is a reference to the regions having even more jurisdiction in Belgium than they do now. A question De Wever has not yet addressed publicly is who would become mayor of Flanders’ biggest city should he leave the post to become minister-president. Not "French socialists" (they are in France) but "francophone socialists." Is there a Flemish social democratic part in Belgium? French and Flemish socialists are too liberal sometimes. Which parties are a little on their left?